Austrian Airlines is Austria’s largest carrier and operates a global network of routes to around 130 destinations. The company’s hub at Vienna International Airport is an ideal gateway between East and West. Austrian Airlines is part of the Lufthansa Group, Europe’s largest airline group. This Customer Story is available in German. MSC Cruises sails year round in the Mediterranean and offers a wide range of seasonal voyages in northern Europe, the Atlantic Ocean, the French Antilles and the Caribbean, South America, South Africa, and other popular destinations. In 2014, the 12 ships in its ultramodern fleet carried about 1.7 million travelers. This Customer Story is available in Italian. RheinLand Versicherungsgruppe knows all about preventing risks and protecting key assets. That’s because, as one of Europe’s leading insurance providers, its mission is to protect people, businesses, and financial assets from threats. Not surprisingly, RheinLand takes protecting others as seriously as it takes protecting the sensitive data of thousands of customers on its network. When RheinLand recognized it needed to increase security by better controlling applications and user access to key databases, it turned to Palo Alto Networks®. What did Palo Alto Networks do to better secure the network for this major insurance player? This case study is available in German. Organizations around the globe continue to struggle with targeted attacks on the endpoint that bypass multiple layers of traditional controls. 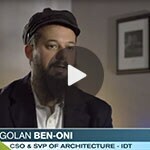 Golan Ben-Oni, IDT CSO talks about how the innovative approach and technology of Traps is a paradigm shift in endpoint security, and what that really means for his organization. Revera helps more than 30,000 seniors and other clients to live their lives to the fullest. With 50 years of experience, Revera has a deep understanding of the seniors they serve. Through its vibrant retirement communities, long term care homes, U.S. nursing and rehab centres, and dedicated home health team, Revera offers choices that enable its residents and clients to continue to be their best. Palo Alto Networks customers talk about WildFire, automated threat protection and the platform advantage. 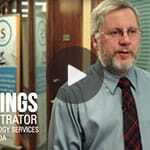 Health Information Technology Services Nova Scotia (HITS-NS) provides IT services to district health authorities, and hosting services, internet access and remote connectivity to a network that includes 20,000 users in over 150 locations, interconnecting all the hospitals in Nova Scotia. Hear how HITS-NS is empowered as a result of having Palo Alto Networks WildFire technology in place. 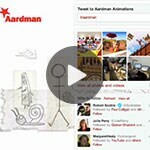 Aardman Animations from Bristol/UK has a deserved reputation as a world leader in model animation. 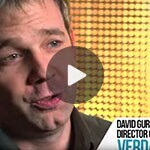 Their award-winning work leads the field producing a unique brand of independent film alongside work for broadcast and advertising spots. To date the studio proudly boasts four Oscars and ten Oscar nominations. Sonic Solutions designs and manufactures DVD publishing systems used to prepare music, video, film, graphics and entertainment software. "Our existing security solution is blind to traffic flowing across port 80. Palo Alto Networks provides us with user-based application visibility and control." Cricket Communications, Inc., is a leading provider of unlimited, no-contract wireless services with more than 4 million subscribers nationwide. "Palo Alto's products are the best we've seen for traffic identification. They're easy to use, very accurate and it's extremely easy to drill down into the information to pinpoint abusers or threats and block them before they impact service." ThedaCare is a community health system providing a wide range of health services to residents of central Wisconsin. "Our old security infrastructure didn't allow us to break down traffic on our network. Palo Alto Networks helps us see exactly how our network bandwidth is being used and ensure that applications are safely enabled for business purposes." Children's Hospital Boston is one of the largest pediatric medical centers in the United States. "The performance has been fantastic. Our internet traffic ranges anywhere from 300Mb to 1Gb of data passing through at any given time and the product has handled it smoothly." Capital Region Health Care: Why Palo Alto Networks? An interview with Mark Starry, Director of Architecture and Security at Capital Region Health Care on why they chose Palo Alto Networks Next-Generation Firewalls over Check Point Firewalls. An interview with Richard Tso, Director of IT Infrastructure at ZipRealty on why they chose Palo Alto Networks Next-Generation Firewalls over Check Point Firewalls. 24 Hour Fitness: Why Palo Alto Networks? An interview with Justin Kwong, Senior Director of IT Operations at 24 Hour Fitness on why they chose Palo Alto Networks Next-Generation Firewalls over Check Point Firewalls. 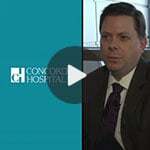 Capital Region Health Care (CRHC) and Concord Hospital CRHC is a regional health delivery system. It includes Concord Hospital, which has 3,200 employees, including more than 750 physicians and nurses, at the main campus and more than 10 remote sites "Since implementing Palo Alto, I have come to the conclusion that a firewall that is not application and user aware provides little value to our organization." Qualcomm is a wireless telecommunications research and development company, as well as the largest fabless chip supplier in the world. "They (Palo Alto Networks) provided us high throughput firewalling and high throughput IPS. We were able to do antivirus and at the same time we were able to do application based firewalling which was one of our biggest requirements at the time." DTE Energy is a Detroit-based diversified energy company involved in the development and management of energy-related services nationwide. 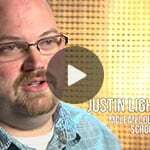 "With Palo Alto Networks we found the visibility into our network we were seeking. Now we get better visibility into what's going on inside our network and into the applications attempting to access our network. From a bandwidth perspective, we don't want to be too restrictive, but we do want to ensure appropriate resources for our business traffic."